 Irany e E. is drinking a Double IPA by Maniacs Brewing Co. at Maniacs Brewing Co.
Ândrio Z. is drinking a Double IPA by Maniacs Brewing Co. at Maniacs Brewing Co.
Juliano S. is drinking a Double IPA by Maniacs Brewing Co. at Maniacs Brewing Co.
Earned the Draft City (Level 7) badge! Earned the Suds Samba (Level 11) badge! Earned the Amazons & Andes (Level 11) badge! Lucas L. is drinking a Double IPA by Maniacs Brewing Co. at Maniacs Brewing Co.
Felipe L. is drinking a Double IPA by Maniacs Brewing Co.
Earned the Middle of the Road (Level 48) badge! Earned the Hopped Up (Level 12) badge! Earned the Photogenic Brew (Level 93) badge! Earned the Draft City (Level 45) badge! Earned the Suds Samba (Level 78) badge! Jimmy is drinking a Double IPA by Maniacs Brewing Co.
Earned the Middle of the Road (Level 8) badge! Earned the Photogenic Brew (Level 51) badge! Earned the I Believe in IPA! (Level 16) badge! Earned the For the Can (Level 10) badge! Earned the 2X (Level 8) badge! Earned the Verified Adventure (Level 37) badge! Earned the Hopped Up (Level 7) badge! Earned the Photogenic Brew (Level 19) badge! Earned the Suds Samba (Level 38) badge! Earned the Amazons & Andes (Level 38) badge! Earned the St. Patrick's Day (2019) badge! Earned the Verified Adventure (Level 5) badge! Earned the Suds Samba (Level 39) badge! Earned the Amazons & Andes (Level 39) badge! Matheus P. is drinking a Double IPA by Maniacs Brewing Co. at Maniacs Brewing Co.
Earned the Photogenic Brew (Level 9) badge! Earned the 2X badge! Leonardo P. is drinking a Double IPA by Maniacs Brewing Co.
Earned the International Women's Day (2019) badge! Earned the For the Can (Level 28) badge! Earned the I Believe in IPA! (Level 11) badge! Earned the 2X (Level 3) badge! Lane is drinking a Double IPA by Maniacs Brewing Co.
Andre B. is drinking a Double IPA by Maniacs Brewing Co.
Cesar L. is drinking a Double IPA by Maniacs Brewing Co. at Maniacs Brewing Co.
Edson M. is drinking a Double IPA by Maniacs Brewing Co. at Maniacs Brewing Co.
Earned the Verified Adventure (Level 6) badge! Earned the 2X (Level 3) badge! Earned the Find the Source (Level 2) badge!